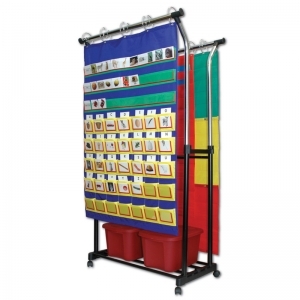 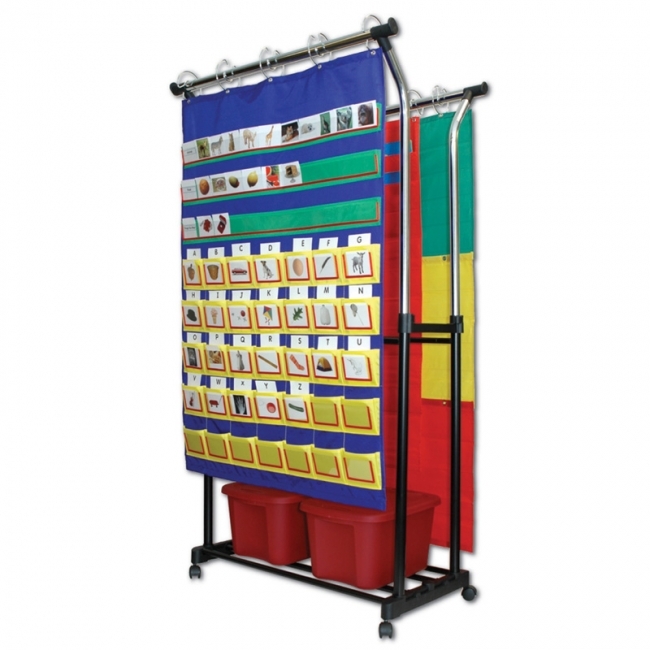 Easily switch between subjects by displaying classroom materials on the Double Pocket Chart Stand. 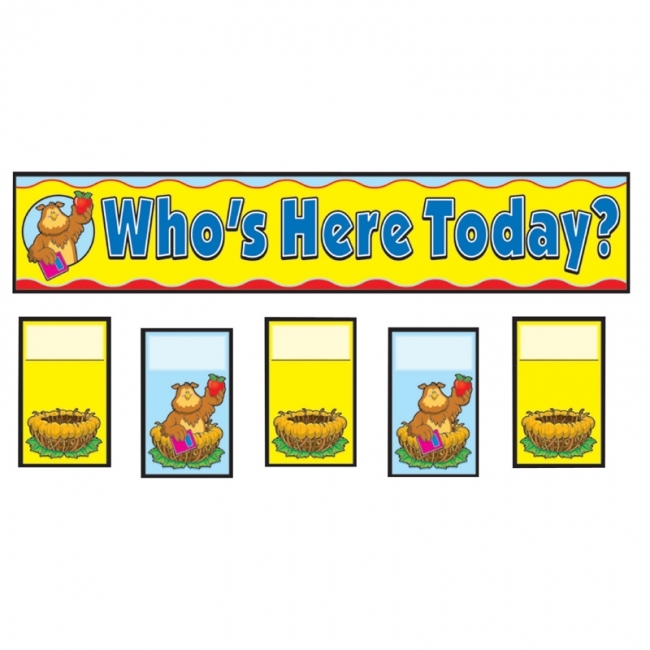 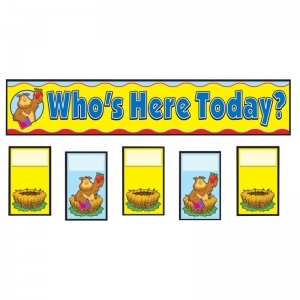 • Adjustable height from 42" to 68"
The Attendance Replacement Cards set includes 35 full-color, two-sided student cards (3" x 5" each) and a "Who's Here Today?" 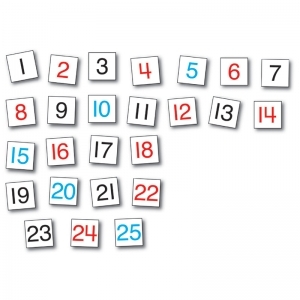 header. 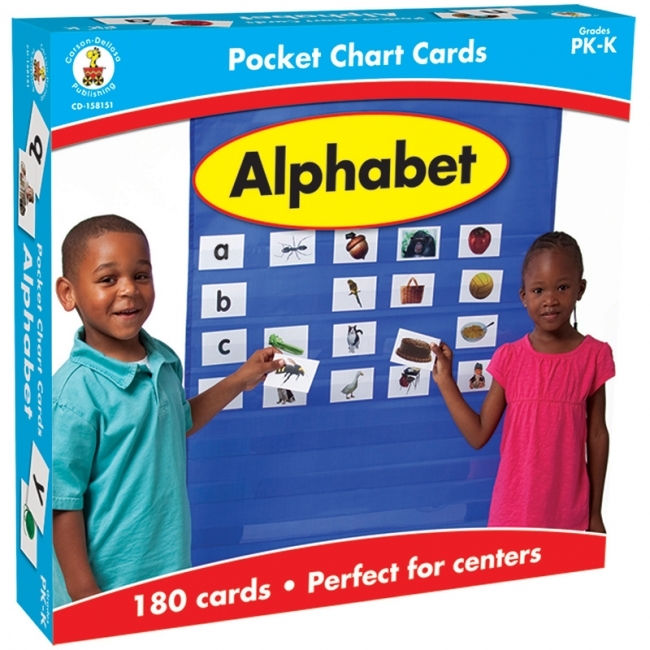 For PreK-Grade 8 / Ages 4-14. 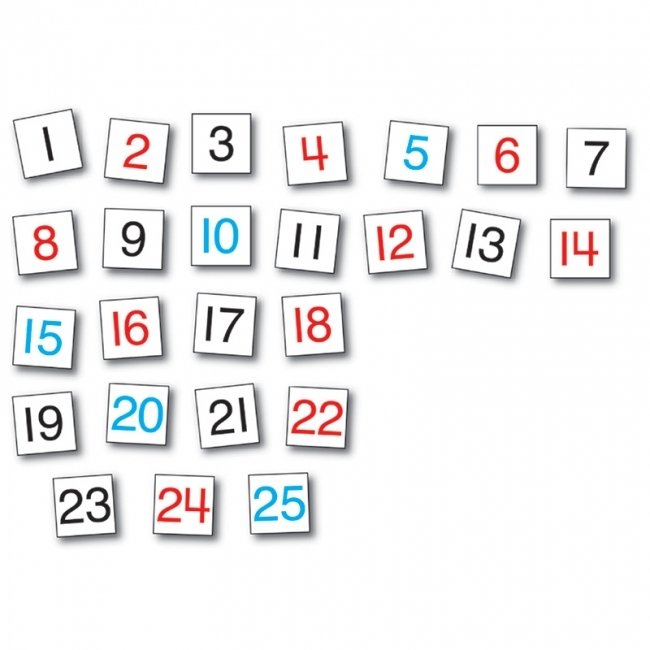 The Hundreds Chart Replacement Cards set includes 218 cards with multiples of 2, 3, 5, and 10 highlighted with different colors (2" x 2" each). 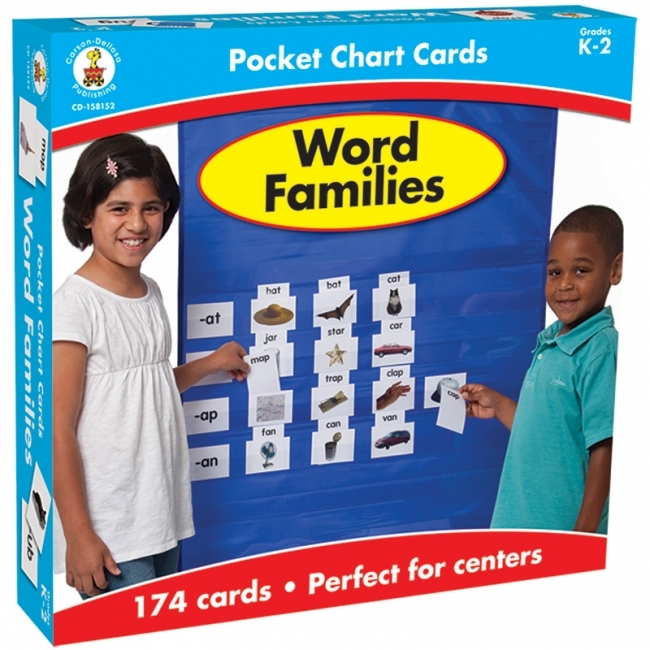 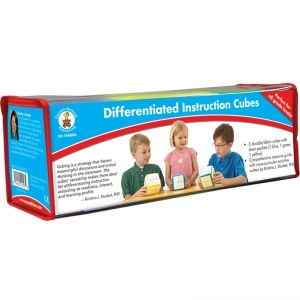 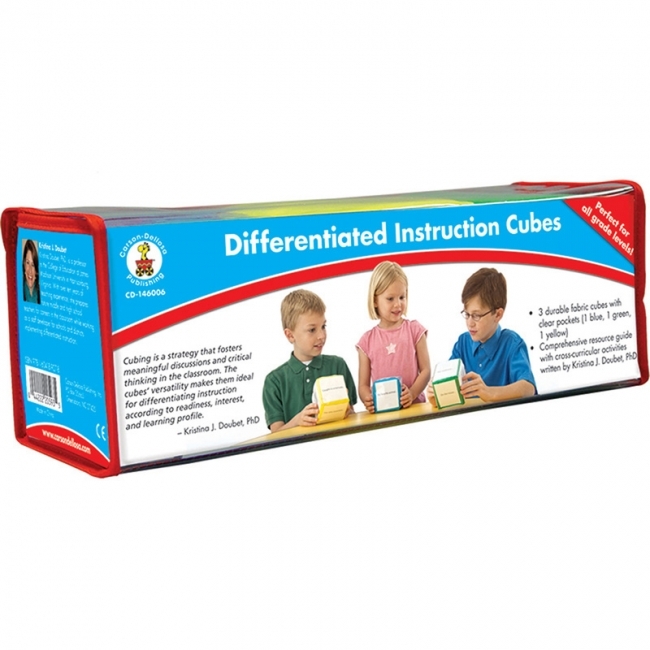 For PreK-Grade 5 / Ages 4-11. Chart measures 19.75" x 26" and includes 6 pockets, 30 write-on/wipe away student sticks, and a resource guide. 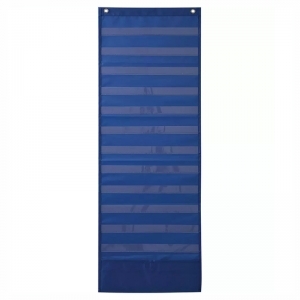 Durable construction and sturdy grommets for easy hanging. Classroom management solution with popular stoplight theme! 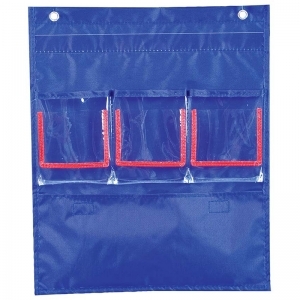 Patent pending. 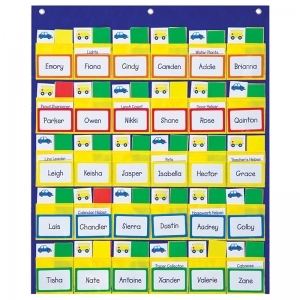 The Deluxe Scheduling Pocket Chart is the easiest way to illustrate your classroom's daily schedule. You can also use it to reinforce time-telling lessons. 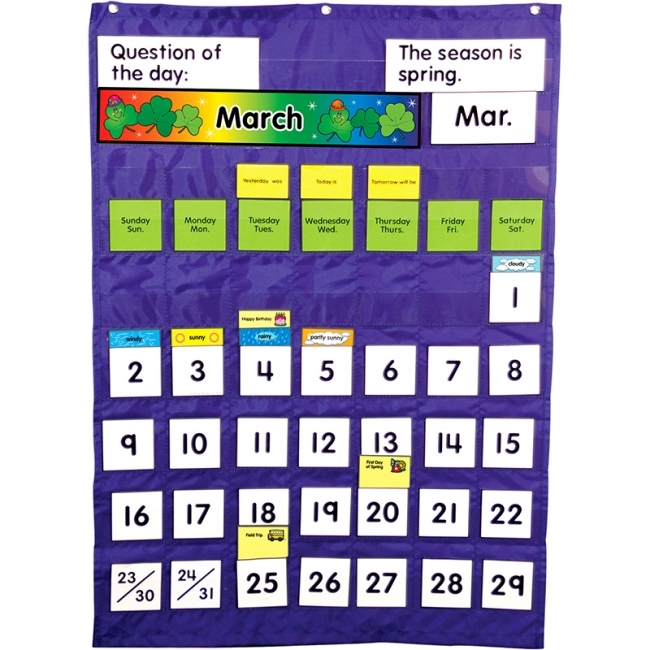 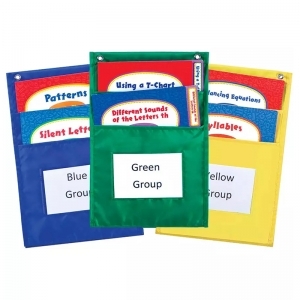 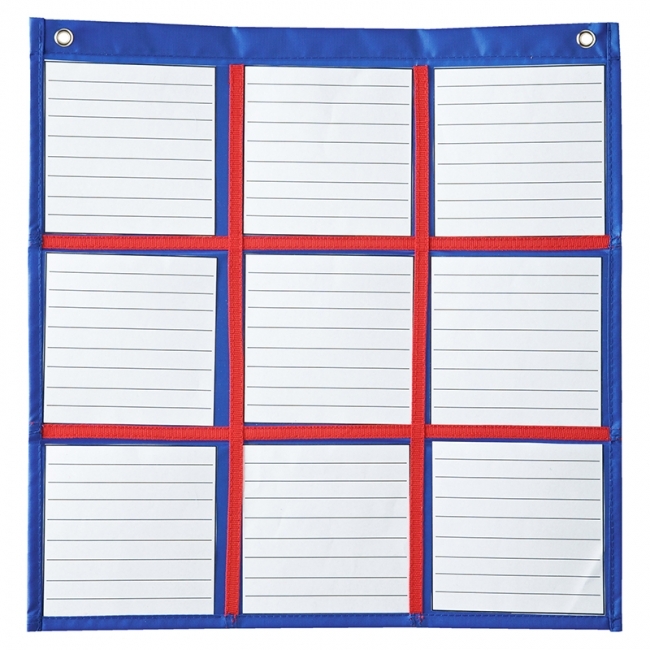 Pocket chart measures approximately 13" x 36" and features: 12 clear pockets, a storage pocket with hook-and-loop tape closure, 15 write-on/wipe-away cards, flame retardant material and durable construction, and turdy grommets for easy hanging. 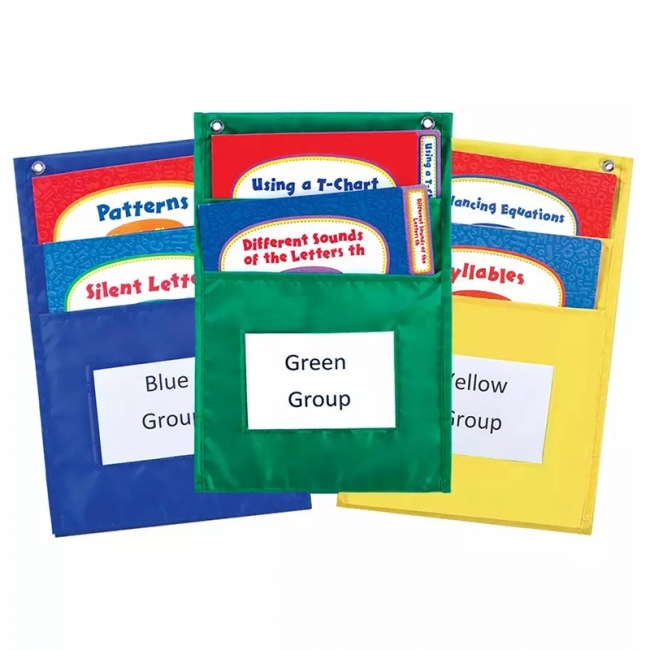 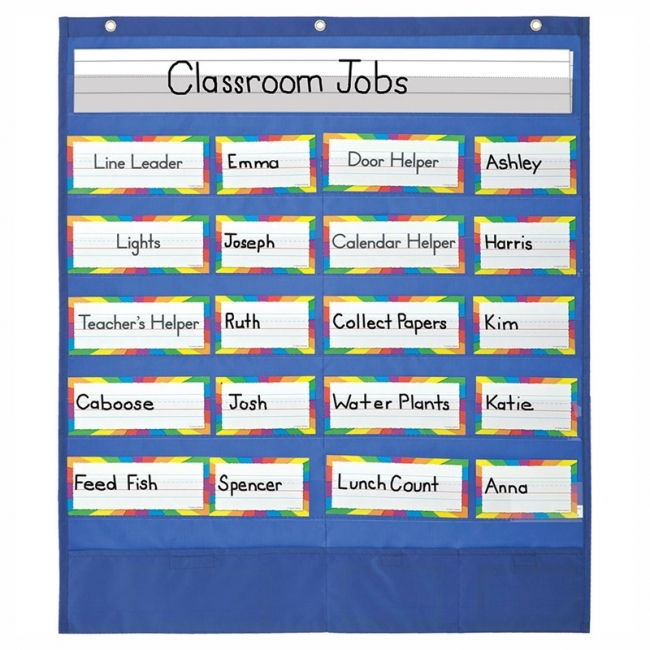 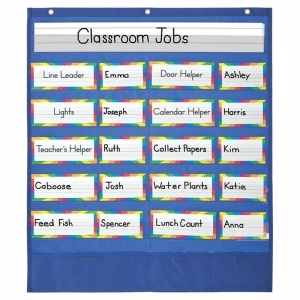 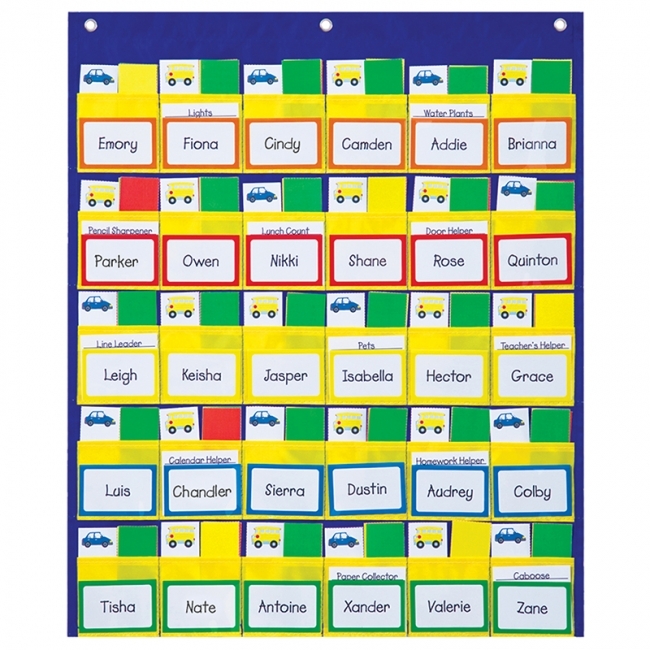 The Classroom Helpers Pocket Chart is a great way to organize job assignments, differentiate lessons ,and assign homework! 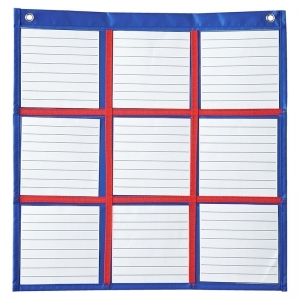 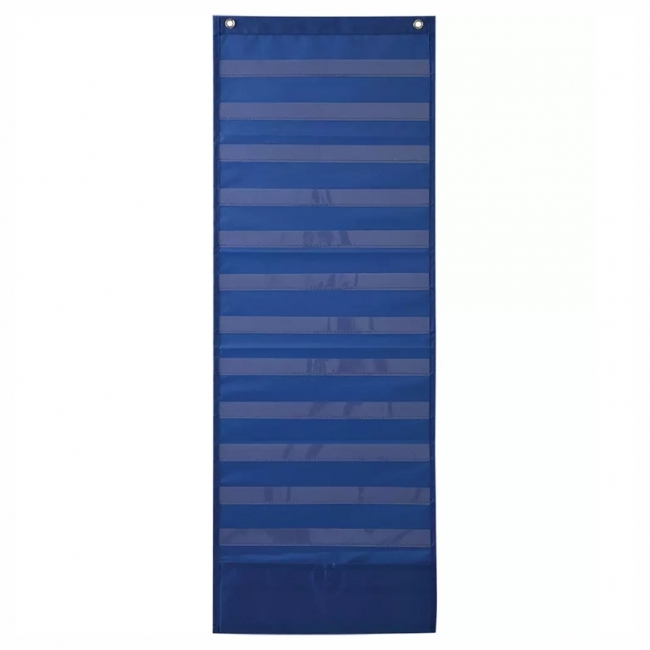 It measures approximately 25.5" x 30" and features: 11 clear pockets, 3 storage pockets with hook-and-loop tape closure, 32 write-on/wipe-away name cards, 12 write-on/wipe-away job cards, flame retardant material and durable construction, and sturdy grommets for easy hanging. 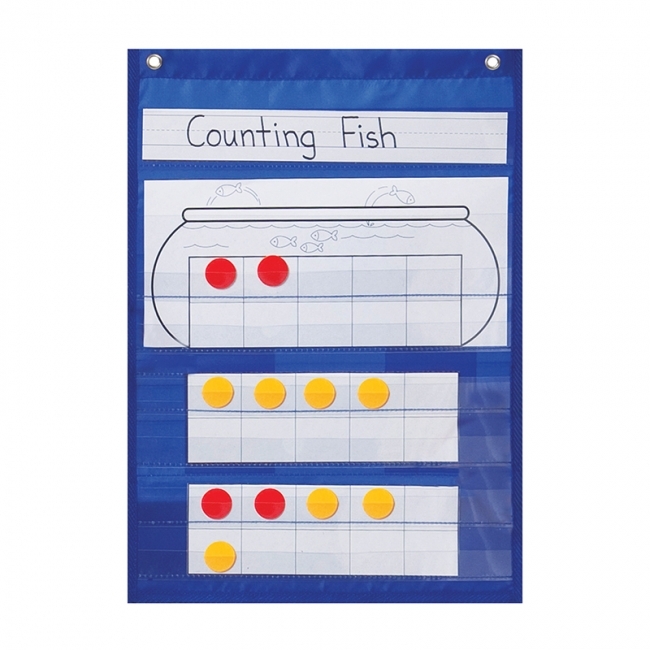 Store file folder games, illustrate writing lessons, build differentiated math lessons, and more! 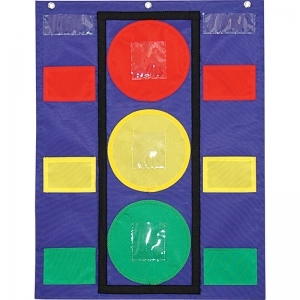 Center management has never been easier.